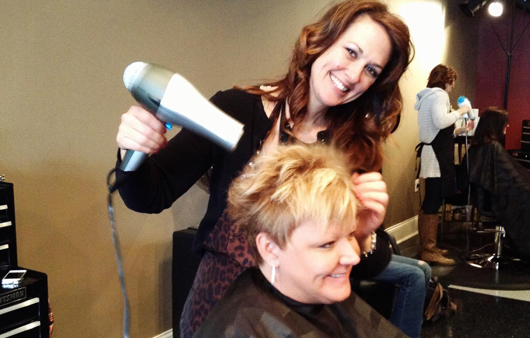 I graduated from Creative Images and have worked in some amazing salons over the years. I achieved my manager's license while working at Ruby's Beauty Salon. Creativity is where I excel using Joico productions - whether it's the latest trends in color or a style seen on the runway, I can recreate it! With over fifteen years of experience in the hair industry, I still have the passion to make my clients look and feel their best. I am thrilled to be apart of the Sweeney Todd Salon team. I specialize in corrective color or if you are seeking a new look to start off the new season, I am your stylist!